At NGA, our expert knowledge and leadership has been integral in supporting governance for over 12 years. This is just one of the reasons why the Department for Education (DfE) has chosen us to deliver Leading Governance – a governance and clerking leadership development programme essential to building strong governance. With an array of successful leadership programmes already under our belt, Leading Governance is a fantastic opportunity to develop governance in your school or trust and play a key role in improving the educational welfare of pupils. 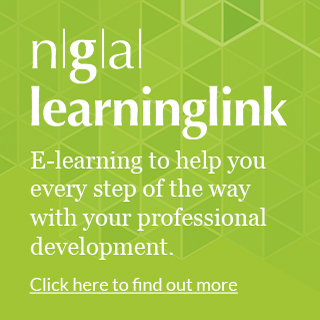 NGA is offering DfE funded Leading Governance programme to chairs and aspiring chairs, boards and clerks in all regions of England. Lead and support your governing board to have real impact on your school’s improvement with one of our three courses. Why choose NGA's Leading Governance? Choosing NGA's Leading Governance allows you to draw on our unrivalled expert knowledge of best governing practice. Funding is limited and on a first come, first served basis. Please contact NGA to enquire about eligibility for funding. Have a question about one of these programmes? Then take a look at our Leading Governance frequently asked questions.